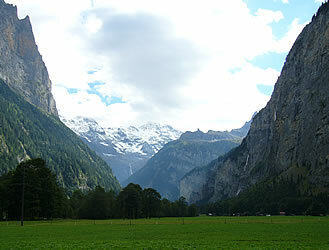 Lauterbrunnen is the terminus of the BOB (Bernese Oberland Bahn) train service from Interlaken Ost. 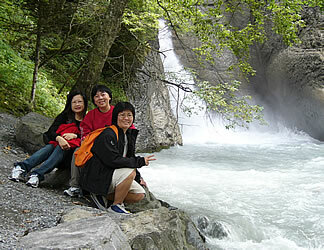 It is a convenient place from which to explore the nearby mountains for hiking in the summer or skiing in the winter. 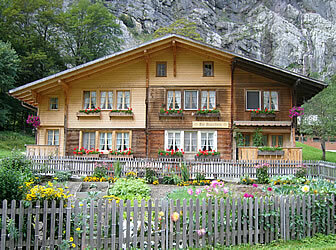 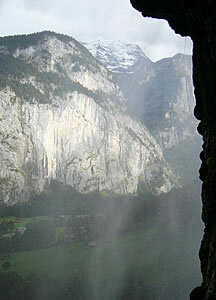 The Lauterbrunnen valley is very beautiful, with steep mountain walls on either side. 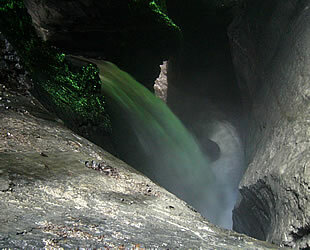 There are waterfalls close to the village, feeding the valley's river. 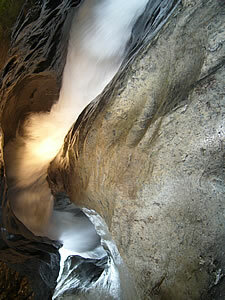 The Trümmelbachfälle are waterfalls inside a mountain formed from melting waters from the Eiger, Mönch and Jungfrau. 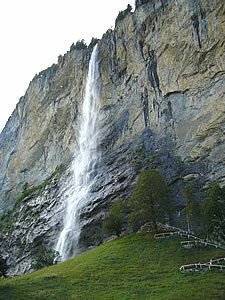 Visitors can take a lift to the top and walk down, enjoying spectacular views of the waterfalls. 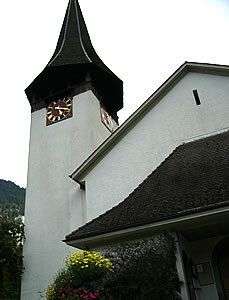 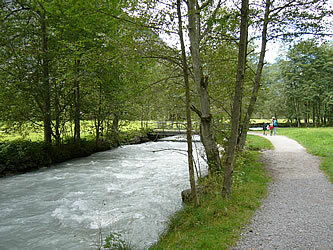 It takes about half an hour to walk here from Lauterbrunnen, or if you prefer you can take a local bus. 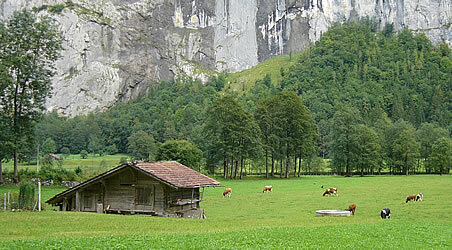 From Lauterbrunnen there is a cable-car to Grütschalp which connects with a mountain railway to Mürren. 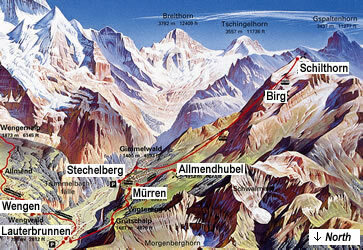 From Mürren there is a funicular railway to Allmendhubel. 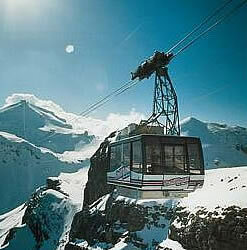 One of the most popular excursions from here is to the top of the Schilthorn. 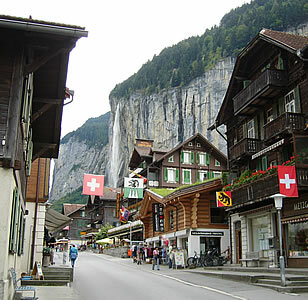 To reach there from Lauterbrunnen, take a bus to Stechelberg and then a cable-car up to the summit (the journey lasts about 30 minutes). 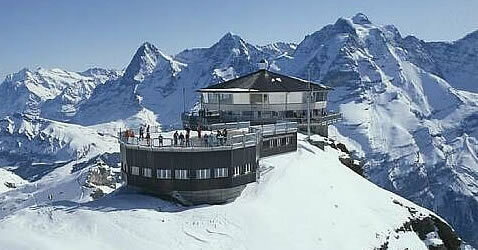 At the top is Piz Gloria, the world's first revolving restaurant, and on a fine day you can enjoy excellent views of the other mountains. 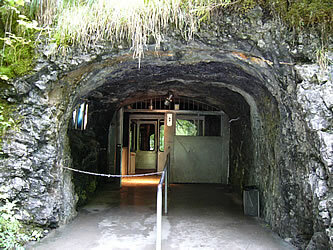 This is where famous scenes from the James Bond film "On Her Majesty's Secret Service" were filmed. 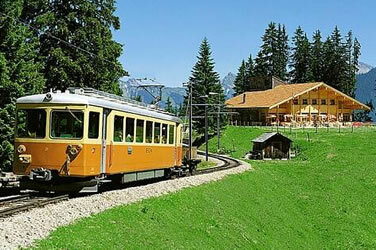 Lauterbrunnen is also the starting point of the WAB (Wengernalpbahn) railway to Kleine Scheidegg, where you can charge trains to get to Jungfraujoch. 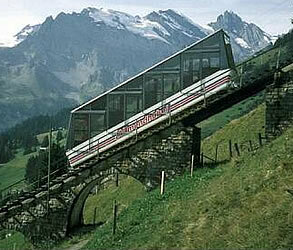 For more details about Kleine Scheidegg and Jungfraujoch, see: Travel/Tours/Switzerland/Grindelwald.